Google presents A Space for Being at Salone del Mobile Milano following its debut exhibition Softwear in 2018. 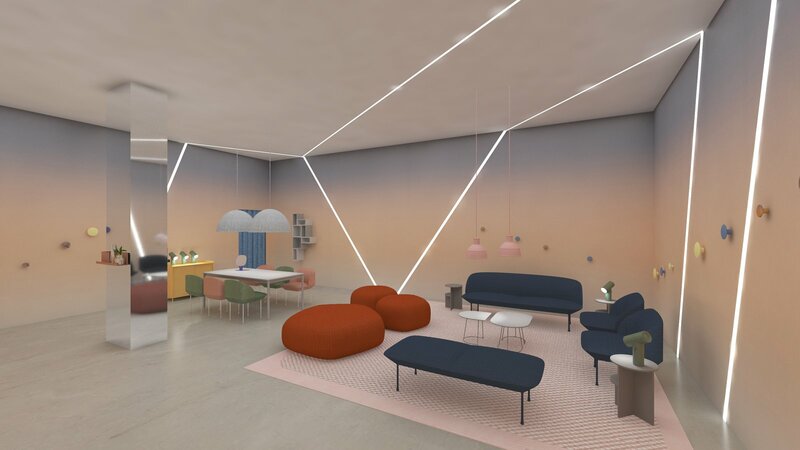 In a multiroom installation at Spazio Maiocchi, A Space for Being will explore the field of neuroaesthetics and how different aesthetic experiences have the potential to impact our biology and well-being. Each room will be unique in design, build, and furnishings, as co-created by Google’s Vice President for Hardware Design, UX, and Research, Ivy Ross, in collaboration with Muuto’s Design Director, Christian Grosen; Reddymade Architecture and Design Studio Founder and Principal, Suchi Reddy; and Executive Director of the International Arts + Mind Lab at Johns Hopkins University, Susan Magsamen. A Space for Being will be on view at Spazio Maiocchi April 9 through 14, 2019. Please note the line closes at 4 pm.